How You Can Help Your Pool! 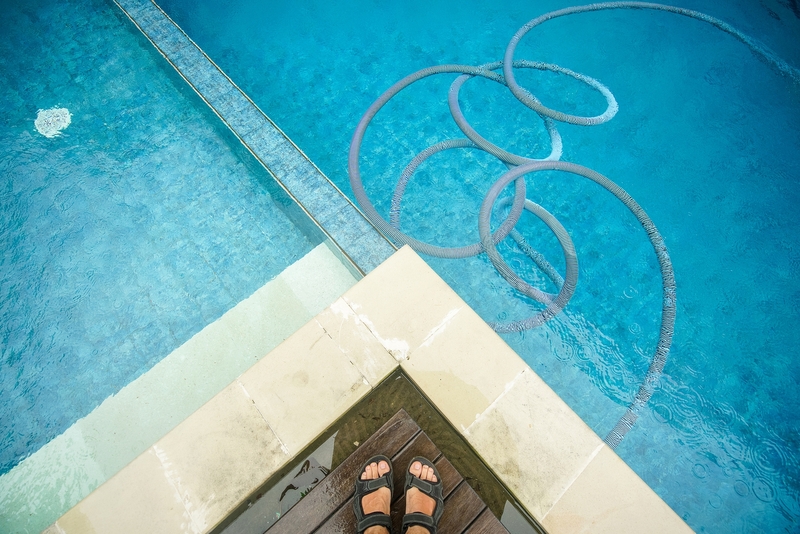 Home » Blog » How You Can Help Your Pool! You have a pool service that comes once a week to care for your pool. During your weekly valet visit, your technician will typically test and balance your water, clean your pool, empty baskets, and backwash your filter. But there are things that need to happen between those 7 days when your technician comes back that may need to be addressed. Is Your System Running? Well, You Better Catch It! For a residential pool, you system needs to operate to maintain circulation and ensure proper water clarity and sanitation levels. This is why timers are important. Your timer can be set to turn the pool on and off at certain times to ensure that your system is running enough to meet those needs. Generally, residential systems should run around 8-12 hours a day. Depending upon pool volume, bather use, and environmental factors, your pool may need to run more or less. If you are planning a vacation or short get away, do not turn off that system. Some think that since they won’t be home, they can turn it off because won’t be using the pool or can try and save some money on electricity and/or gas. When you turn off your system, the water is no longer circulating and the sanitizer is not being fed into the pool (if you have an automated chemical feeder). This is when algae will start to flourish. 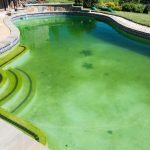 And then, you will come back to a green pool that will cost you more money to clear up than you saved on your utility bill when you turned it off. I Need to Water My Pool? The water level in your pool also needs to be properly maintained for effective operation. Ideally, your water should be at the middle of your skimmer. Water can be lost from the pool through evaporation, bather splash out, leaks, and backwashing. If the weather is very hot, with humid days and no rain, evaporation rates can be ¼” to ½” a day! If you calculate that over a week’s time between your service visits, that can be close to 4 inches! When the water level drops, it can negatively affect your circulation system with the potential for pumps to run dry and burn out, requiring repair or replacement. So it is good to monitor your water levels throughout the week to make sure you are hitting the mark. On the flip side, when we get a lot of rain and fresh water overflows the pool, it affects water chemistry. Fresh water dilutes your water chemistry. When that happens and your water is unbalanced, you can develop algae, cloudy water, and bathers can experience discomfort to eyes, nose, and throat. So be careful if you are adding fresh water back to the pool, that you monitor the water filling and don’t leave the hose unattended. An unattended hose can also cause the pool to overflow causing damage to your landscaping. Water above the top of the skimmer can also cause bugs and debris to be not collected and drop to the bottom of your pool. The purpose of the skimmer basket is to collect surface debris in the pool so it does not return to the pump and cause it damage. Sadly that skimmer basket collects a lot of stuff like leaves, twigs, acorns, bugs, and even dead animals. Ideally, skimmer baskets should be emptied daily to help ensure that the system is running smoothly. Also, you don’t want all that stuff sitting in your pool water because it can affect your water chemistry as well. If you are dumping those baskets, make sure you are not emptying them pool side with the potential for all that debris to enter back into the pool by way of wind or bathers. Your pool technician and pool company take great pride to ensure that when they leave your property, your pool is clean and operating correctly. But once they leave, there are so many things that can affect your water chemistry, clarity, and system function. Being aware and ready to tackle those items will keep you one step ahead of the game and with more clear swimming days ahead!